Diary of a bereaved mother, 丧儿记,: 丧失儿子的母亲的一本传记: Helping the bereaved grieve. In my book, I have a chapter on helping the bereaved grieve. One section is helping children grieve. 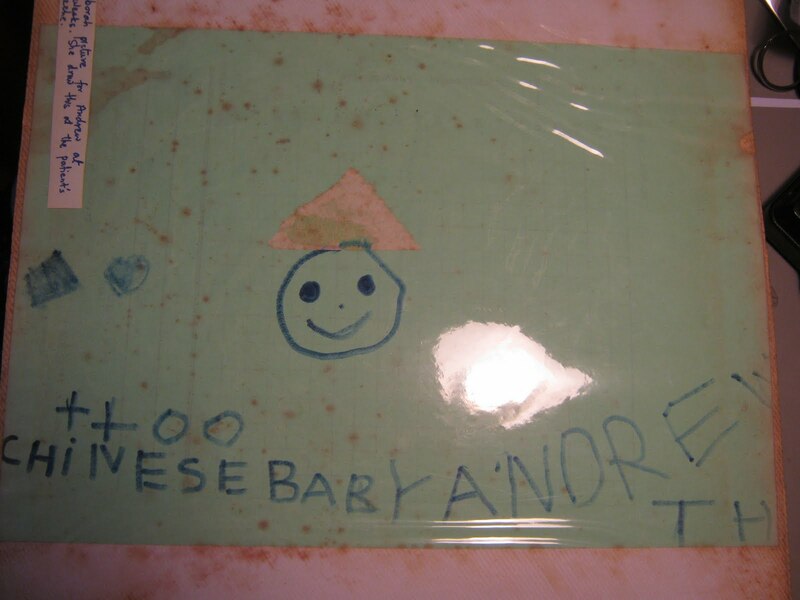 Deborah drew this when Andrew was dying in the ICU. She had stuck a conical hat on Andrew, because she knew we were Chinese living in a White man's world. She explained her drawing to all the visitors in NICU. Sands, A Little Life, Not a Little Loss. Angels and their bereaved parents. Plunket, Mt Albert Baptist Church and me.